Debt can negatively impact your life in both practical and emotional ways. It can limit you from getting the home you want or taking out a loan. It can stop you from going on vacations or traveling. It can also have a tremendous psychological weight; just knowing that you owe tens of thousands of dollars (or more) can give you anxiety or make you feel depressed. You should at least know you aren’t alone. The average U.S. household has $137,063 in debt (including mortgage debt), with the average credit card debt alone being nearly $17,000. But if you want to do better for yourself (and feel better along the way), you’ll need a solid action plan to get rid of that debt. There are gimmicks that can help you consolidate or transfer your debts, but there’s a much more effective approach. Before you do anything, it’s important for you to stop accumulating debt. If you continue to use your credit cards or if you take out new loans, that seemingly insurmountable load of debt is only going to become worse. Try to build up an emergency fund so you don’t have to rely on credit cards to bail you out of a bad situation, and try to only spend what’s available to you. Next, work on moving your debt to a source with the lowest possible interest rate. Shaving even a few percentage points off your interest rate can have a massive effect on reducing what you pay—especially over the course of years. For starters, see if you can transfer your credit card debt to the card with the lowest interest rate or the best terms and conditions. Then, call the credit card company and see if you can negotiate that rate even lower. For some of your other loans and debts, you may be able to negotiate a better interest rate and/or payment plan if you demonstrate how serious you are about paying that debt off. Track and understand your spending. Keep track of everything you’re spending and everything you’re making. Once you have it written down or logged in an app, you’ll have a much better understanding of your cash flow, and you’ll be able to pinpoint problematic habits that are keeping you from success. Categorize your expenses, and pay attention to how they change from month to month. Next, cut any unnecessary expenses that bog down your monthly spending. For example, are there any paid subscriptions that you don’t use on a regular basis, like gym memberships or streaming services? How often do you go out to eat, and can you substitute those restaurant meals with much cheaper, homemade alternatives? Are there cheaper phone plans, and can you reduce how much you use utilities like heat and electricity? Your main goal should be paying down your debts, and with payments in excess of the minimum required. Once you minimize all your expenses, you can use whatever excesses you have to chip away at your principal. From there, it’s a matter of time before your principal becomes zero once again. You can only pay off your debts faster if you have a higher surplus at the end of each month. You can only get a higher surplus in two ways: cutting costs and increasing your income. Since you already cut your costs in the budgeting step as far as they can reasonably go, the last thing you can do to pay off your debt faster is generate more income. There are many ways you can do this. If you’ve been excelling at your job and it’s been a while since you’ve gotten a bump in income, you can try asking for a raise. If you’re not in a position to ask for a raise, but you have some extra time, you could always pick up a part-time job. Barring that, there are dozens (if not hundreds) of side gigs you can use to make some extra money, none of which take much time from your day and many of which can be done with minimal preexisting knowledge or skill. 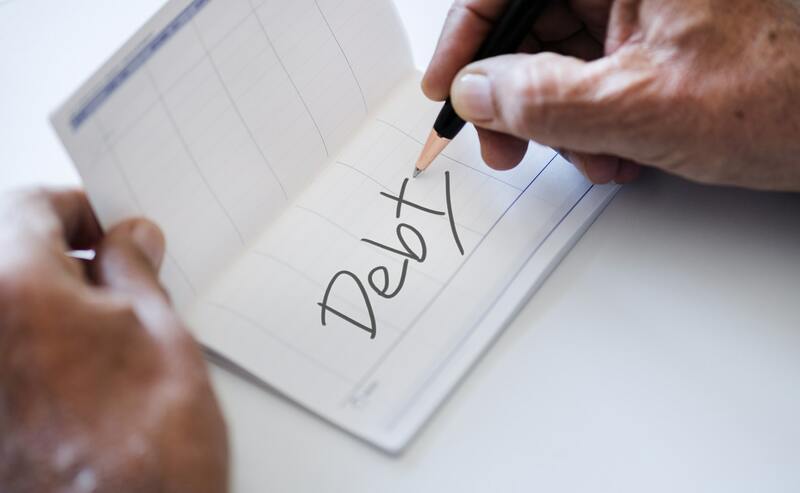 This path isn’t easy, and it’s not going to eliminate your debt overnight, but over the course of a few months, you’ll slowly start chipping away at the debt that continues to loom over you. Even if you’re faced with lots of debt and minimal income, with enough focus and determination, you can likely become debt-free (or nearly so) in a few years.